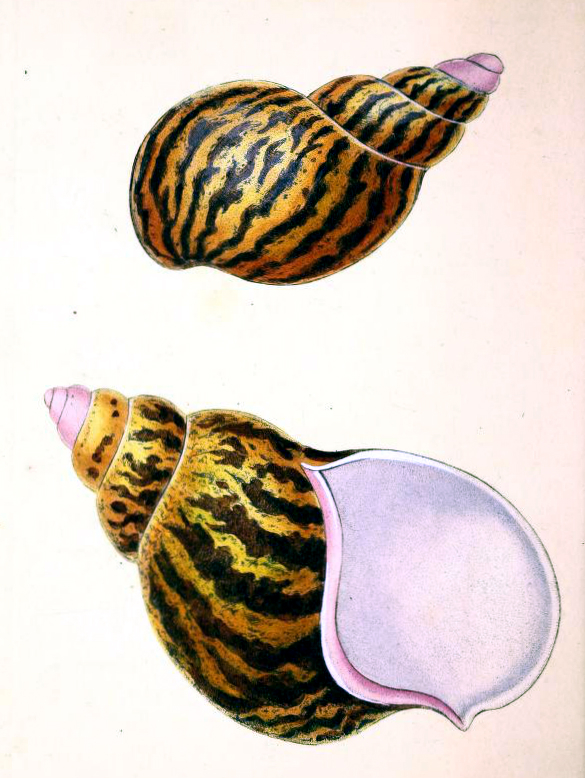 These two beautiful sea snail shells were selected from a 18th century science catalog. You are free to use this image in your personal or commercial work without permission. Please provide a link back to FreeVintageIllustrations.com when using this image for online purposes.